The last Antelope Intros for 2015 feature a College of Science, Engineering and Technology assistant professor who likes to work up a sweat and an enrollment counselor who has a secret love for a particular pet. Photos by Darryl Webb GCU News Bureau GCU Arena was packed and festive for winter commencement Friday night as more than 600 traditional graduates received their diplomas. So many great stories equals so many great photos, filled with joy and anticipation. 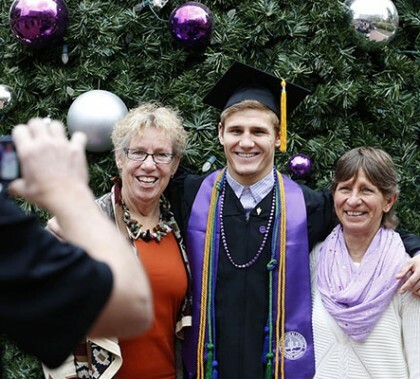 There was a slight chill in the air Friday, but things quickly warmed up inside a full GCU Arena as more than 600 members of the Class of 2015 and thousands of their closest family members and friends celebrated a variety of incredible accomplishments. Keynote speaker Erik Wahl speed-painted two interesting pieces of art during his talk, which reflected on his own mistakes in life of listening too closely to critics and being afraid to find and live his purpose. He encouraged the new alumni to never be afraid to fail and to think differently than anyone has before. 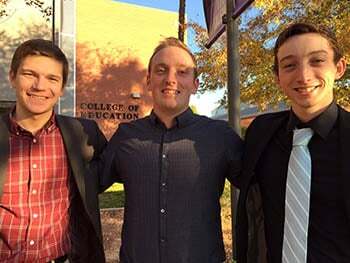 Nearly everyone knows about GCU’s basketball team, but flying more quietly under the radar is the University’s speech and debate team, which is nonetheless a big success story. The team, just three years old, this year has earned a ranking in the top 20 schools in the nation that practice the same speech and debate styles. And most recently, in what team director Barry Regan said is impressive news, debaters Thomas Rotering and Zachary Kuykendall qualified for a prestigious national competition. 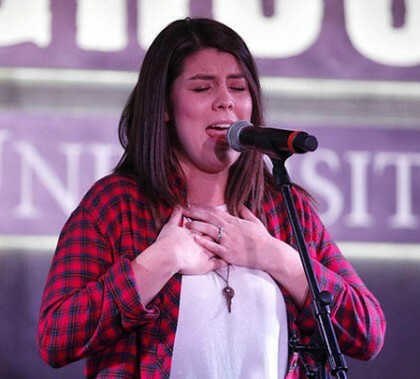 GCU’s Honors College asks a lot of its gifted students, but it asked a little more recently when it put 22 of them through the Personal Academic Career Boot Camp. Three emerged as the finalists for the $3,000 scholarship by best handling the mock interviewing, networking and professional training. Colangelo College of Business students got to hear from another outstanding speaker Thursday, and this one truly has a global reach. Amadou Gallo Fall is the National Basketball Association’s vice president and managing director for Africa, and his story is a classic example of making the most of opportunities. Talk about accomplished people — this week’s Antelope Intros feature a professional writer and an assistant dean who also is a pilot. If you need a little motivation, check out how they’ve gotten things done. Anyone who ever has been to Chapel at GCU no doubt appreciates the quality and spirit of the music. But how did it get so good? The student leaders who feel privileged to have the opportunity and the people who oversee the process share how the process works and what makes it special. Dramatic, one-person performances mesmerized a coffee-sipping crowd at Peet’s Coffee Wednesday as speech and debate team members portrayed characters with startling emotional detail. The performers who took the stage were freshmen Thomas Gleason, Chrycia LeGendre and TaylorRae Humbert, and sophomore Chloe Saunders. Topics ranged from a pro-life story about a woman who was raped and decided to keep her baby to prose about how UFC fighter Ronda Rousey is a significant figure for female empowerment. GCU’s team is ranked in the top 20 of the nation, out of 138 schools, said team director Barry Regan, communication instructor with the College of Humanities and Social Sciences. GCU has the story. 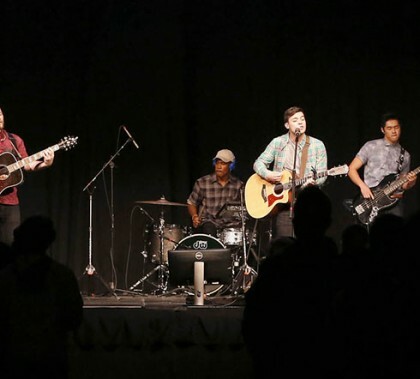 The Worship Songwriter Fall Showcase 2015 showed off a talented freshman class, on the heels of all the successes of the first group that came in last year. But most telling was the way the students talking afterward about the way they have collaborated and grown as a family. “It’s really just community at its finest,” said one. GCU Today has the story.